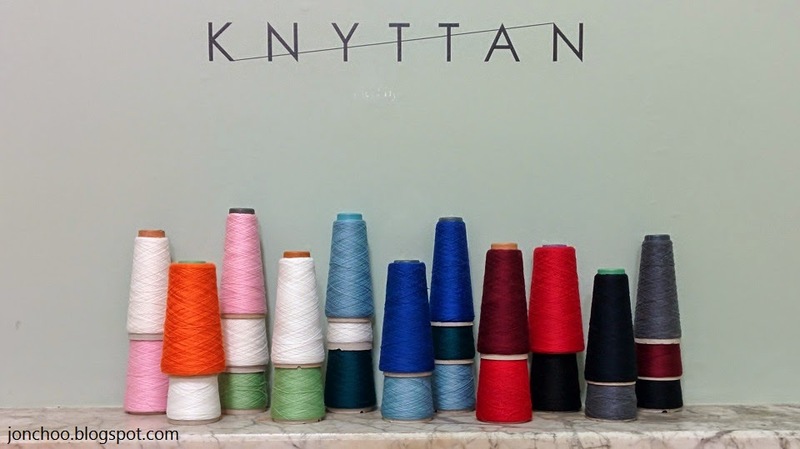 The store itself can be found on the New Wing section of Somerset House, accessible through Lancaster Place near Waterloo Bridge. We've only stumbled upon it by accident last week whilst checking out PJ Harvey residency at Somerset House. At first glance, it looks like yet another typical wool shop, that is until you see that big Stoll flat knitting machine. Four Microsoft Surface tablets are fixed on one side allowing you to customise your own scarf, jumper or large scarf via a web browser app. Here you select from one of several of pre-defined patterns or designs, allowing you to carefully 'customise' them by creating effects or changing the colour. Once you are done, you can order it. 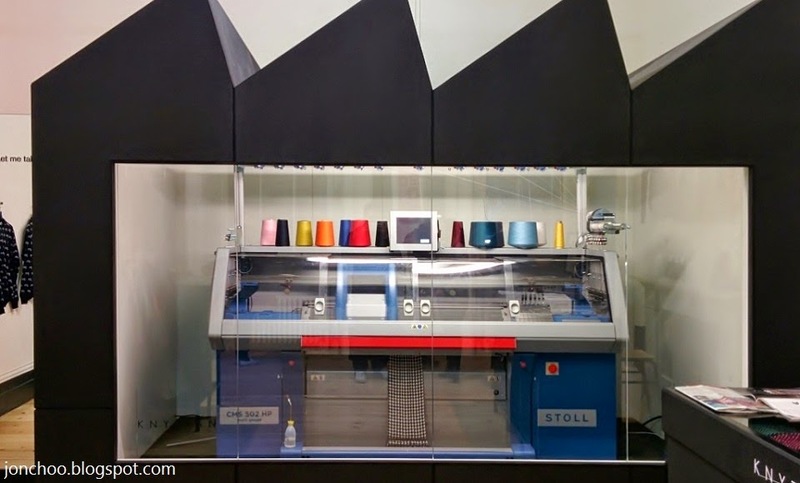 It takes 4-5 days for an order to be fulfilled and send to your address, but you can also make an appointment to watch your order made in that Stoll machine instore. 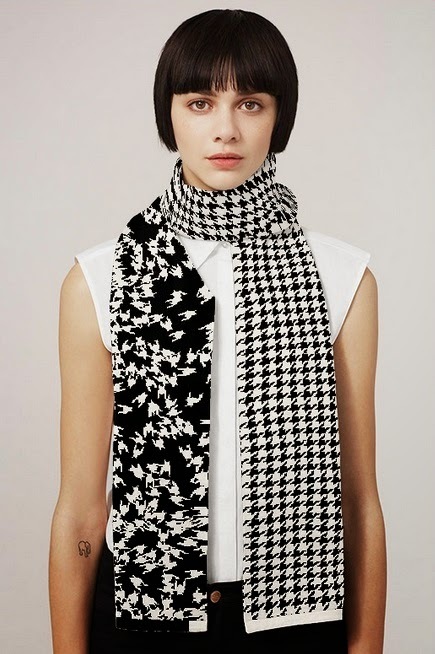 The scarf we made featured the traditional and classic houndstooth textile pattern. The design is attributed to Moniker, but with the app, we were allowed to customise the pattern by pushing them around like some kind of video game. Other patterns includes a wavy pattern, where you can make you own by moving them around with a mouse click, or changing the size and so on. It normally takes about 60 minutes to knit a single scarf. The pop up store is due to close at the end of February, though the online store will continue taking orders for home delivery after that.